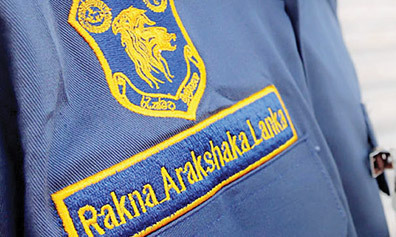 Rakna Arakshaka Lanka Limited failed to obtain approval of the Ministry of Finance for investments amounting to over Rs. 1,400 million, so said COPE Chairman Sunil Handunetti. From 2003, approval of the authorities has not been sought for the budget of the institution. The approval of the Department of Public Enterprises too has not been obtained for the organisational structure and the cadre and procedures for recruitment and promotions. Failure to maintain a register for fixed assets and inventory items, valued at over Rs. 155 million is another lapse. According to the COPE report the absence of details on the location of assets, details of assets and depreciation was another shortcoming. In addition, the institution has not been made a public enterprise and periodic evaluation of reports has not been carried out. COPE has requested a report on the non-execution of these matters. ...with Avant Garde Maritime Limited and six of them had been cited in the recent past and those agreements as well as the agreement entered into on 27-01-2014 by combining the aforementioned agreements were illegal and unacceptable. It had not been certified by lawyers nor had it been registered. The Committee has referred the copies of these agreements to the Attorney General seeking his opinion on their legality. The Committee reviewed the agreements entered into by Rakna Arakshaka Lanka Limited with Avant Garde Maritime Limited for the implementation of six operational projects and it was observed that the approval of the Treasury, the Ministry of Defence and the Board of Directors had not been obtained. Having amalgamated all six agreements, an agreement had been signed with Avant Garde Maritime Limited on 27-01-2014 and the Committee drew its attention to the legality of the agreement. The committee unanimously concluded that this agreement was illegal and unacceptable. It had not received the approval of the Ministry of Defence or the Treasury. Meanwhile, another agreement between Rakna Arakshaka Lanka Limited and Avant Garde Maritime Limited entered into on 20-10-2015 had been referred to as a unanimous decision of the Board of Directors ignoring the objections by the representatives of Ministry of Defence and Treasury. A decision had also been taken to write off Rs. 255 million due to Rakna Arakshaka Lanka Limited from Avant Garde and measures taken to recover Rs.843 million receivable from Avant Garde to Rakna Arakshaka Lanka Limited as of 2014. The committee was not satisfied with the answer given in respect of the recovery of Rs.843 million.